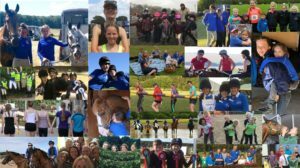 Hello and welcome to the website of Wokingham Branch of the Pony Club! Lots of great things to look forward to in 2019 at Wokingham Branch of the Pony Club!! This competition is for Pony Club Members, for teams and individuals. Heights are from poles on the ground for our littlest competitors, up to 90-95cm courses! We also are excited to announce our Mini Major class – at least one rider must be a member, and the pair must be at least 10 years apart in age so a chance for our wonderful PC Mums or a friend to come and join in too!! Its simple to enter – You just need to enter online individually and then your team manager needs to send in your team form (with £8 fee per team). Mini Major needs to both enter online and confirm who their partner is! 22 June – WPC Annual Summer Show – including show jumping (poles – 1m), showing classes including Sunshine Tour Qualifiers! Thank you to all our competitors who took part in the Dengie second round qualifier and congratulations to all those who qualified for the finals! Many thanks also to our wonderful branch volunteers – You did a wonderful job and it would not be possible to do this without you!!! Do you want to join the Pony Club? Wokingham will welcome you to try out at one of our rallies! Please contact Julie Browne – juliebrowne2017@gmail.com for more details! Looking to join The Pony Club? Wokingham Branch of the Pony Club is a small, friendly , busy club, which aims to cater for a wide range of young people from our wonderful mini-gang of beginners on the lead rein right through to experienced competitive riders, competing at Pony Club Open level! If you are interested in joining, please go to the Joining Wokingham tab, on the left, for more details!